Is there such a thing as a Gardener’s Life List? I know that birders keep life lists of all the birds they see and those they want to see. They get very excited when they get to add a new bird to their list or cross off a bird they were hoping to see. There are also general life lists which some people write up to set goals for what they want to do before a certain age or just in general. These lists are full of different adventures like “see the Indianapolis 500 race in person” (check), “attend an NBA game at Conseco Fieldhouse” (check), or “have dinner at the top of the John Hancock building in Chicago” (check). So why shouldn’t a gardener keep a life list? I’ve searched online and can not find reference to a Gardener’s Life List, so maybe I’ll just make up my own. Plants I have grown that bloomed in my garden. 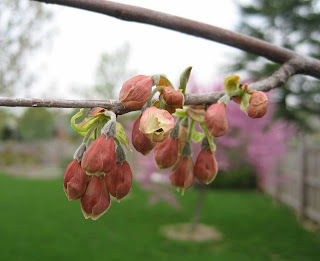 Plants I want to grow in my garden and see the blooms of. Plants I have seen in other gardens, in bloom. Plants I want to see in other gardens, in bloom. Gardens I want to see. I wouldn't try to include every plant I’ve ever grown or every plant I’ve ever seen. That would make the list unmanageable. I’d limit my lists to the plants and gardens that are of most interest to me. For example, I would include Lilacs under “Plants I have grown that bloomed in my garden”. If you live where Lilacs don’t grow, you would definitely want to put them on your list of “Plants I want to see in other gardens, in bloom”. If you didn’t, then I will have failed in my mission to make you want to see and smell the bloom of the lilac. 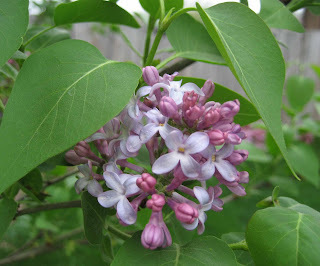 Today the first lilacs are starting to bloom here at May Dreams Gardens and they smell like… lilacs. They make us forget all about the cold and snow of winter. And then tomorrow or this weekend, when it is finally in full bloom, I could move it to the list of "Plants I have grown that bloomed in my garden", a dream fulfilled. Under “Plants I have seen in other gardens, in bloom”, I would include Texas bluebonnets because I saw them blooming in several gardens and public spaces when I went to Austin for the Spring Fling. I could also include the rare tiger orchid that I saw a year or so ago in a nearby conservatory. For “Plants I want to see in other gardens, in bloom” I might include azaleas in South Carolina in the spring, even though I’ve seen azaleas in bloom. I assume ‘down south’ they would be spectacular. For "Gardens I have seen", I could include Thomas Jefferson’s Gardens at Monticello, along with those of Annie in Austin, MSS at Zanthan Gardens, and Pam/Digging, three of the famous Austin garden bloggers. For "Gardens I want to see", I could start with George Washington’s garden at Mount Vernon. And maybe I would put some gardens in England on that list? Yes, if I can keep it to manageable length, a Gardener’s Life List might be just the thing to have. It would be another type of garden journal, about a lifetime of gardening and seeing gardens and special blooms and not about the minutiae of what goes on in my own garden day to day, year to year. Any suggestions on what else I might include on my Gardener's Life List? My life list of gardens I've seen and want to see is why I started blogging. My posts are mostly on gardens I've seen around the world and I have a hit list of more I want to see. If you want preview a few - Kuekenhof, Villandry, Monet's Giverny gardens, Le Notre's gardens, Frank Lloyd Wright gardens, the International Garden Festival at Chateau de Chaumont, Shelborne Farms, Disney and gardens right here in Buffalo please stop over for a visit. I think you should add them all to your life list. Well, let's see...since I tend to grow the same things year after year, I really don't need a list. LOL! BUT this year is different. I'm trying new things and even planted wildflower seeds - and after a week they are starting to sprout! Wahoo! I was going to suggest Guinness Record for "Largest collection of garden hoes" but could not find that catagory. But when I typed it in Google--guess who's collection comes up? Even the Hoe Down. I think you should add the Chicago Botanic Garden to your "want to see" list. It was the highlight of my trip to the Windy City last fall. Piet Oudolf's garden in the Netherlands is on my list, and I'm sure I'd love an English garden grand tour. I also want to see the Las Vegas botanic garden that MSS raved about. Your list could include garden tools tried. Of course your Hoe collection is the ultimate but there are lots of intersting tools out there. A couple of catagories for tools could be Useful and Useless. You could have gas powered tools. Manual tools. Tools made in USA and tools made elsewhere. Tools are a good thing. I have many 'gardens to see' on that list and one I have seen and will remember with great admiration is the garden of Vita Sackville West, Sissinghurst. The white garden was so much bigger than I had pictured and the wisteria was in full bloom. Gorgeous. I would love to see Helen Dillon's garden in Ireland. Maybe someday, 'Spring Fling' abroad! Oh, and your tulips look divine! I think my list would be about gardens I wanted to visit and maybe a wish list of plants I would like to acquire. I would also like to go on some horticulural trips abroad but am having to wait until my boys are older and dont want to come with me!! Ha!!! What a brilliant idea! Of course, I'd have to have a "Plants I've Killed" list (possibly with a subcategory of "Plants I've Killed Again and Again"...). But I *wish* I'd kept a list of all the gardens I've seen over the years! Maybe another category would be "Gardens I Wish I Owned." Bodnant in Wales would definitely top that list! 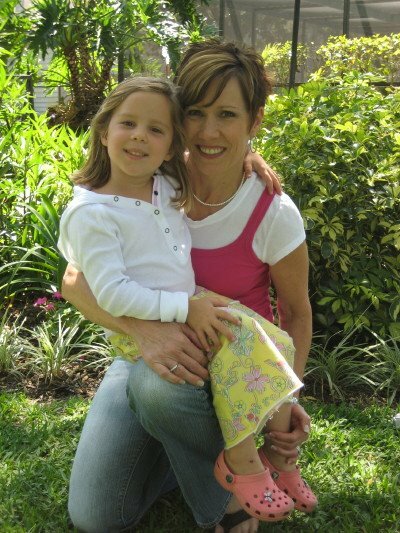 Hi Carol, Funny you should write this post while I am out of town taking my mom to Cypress Gardens right here in Florida. It has been on her "list of gardens to see" for a while now and I thought I'd surprise her (for Mother's Day)... take her out of town and we are spending two days to ramble around these gardens that are very close to our hometown. I'm liking your idea of a Gardener's Life List very much... it only makes sense. I DO check off the birds AND butterflies I've seen and then secondly the birds/butterflies I've been able to capture in a photo. So the meta question here is what on our list of lists, right? My first list was of the plants in my garden. (I moved into a mature landscape and I spend a year trying to figure out what plants I have and something about them.) I've kept list of plants I propagated and plants I killed (gave up on the latter--too depressing). I have lists of heirloom roses I want, as well as bearded irises. Looking at my various lists I see I'm more interested in inventories than in "to do" type lists. Strange given that I consider myself to be a process person. I always wanted to see Elizabeth Lawrence's garden and Monet's Garden...I have seen Cezanne's garden and atelier, so I would have a Gardens I want to see list. Now that I have seen/smelled the voodoo lily I am wondering if there needs to be a List of Unusual Plants or Unusual Gardens I Have Seen. Carol, I'm having an overwhelming day. It has me a little on the sad side. Your post about making a list of things you would like to see makes me think I'll never get it all done. I think you come up with the best things to think about and do. I do see a lot of bloggers gardens I would to visit. Everyone is so talented. I'm bone tired and I keep forgetting the Hoe Down on May 3rd which I can't wait to participate in--I've made myself 3 notes about. The problem is all this new garden and moving stuff on my mind. I'm not so unorganized usually. If I can just get through this year, it will be great. How about botanical gardens & arboreta to visit? A list of wildflowers growing in their native habitat (e.g., Tulips in Turkey, Windflowers in Greece)? Your Carolina Silverbell is exquisite! The search and acquisition was certainly worth the effort. How about a rare plant list. I love the photo of your lilac--mine is not quite ready to bloom. I am the queen of lists, but mostly they are "to-do" lists. I like the idea of gardens I would like to visit, and I would add another one to my own lists--places around my yard that I would like to turn into a garden area. Jim/ArtofGardening, I will definitely go visit your blog and add you to me Google reader. I don't know about adding all those gardens to my list... but it should would be nice to see them all. Mary, I would have put money on you having a life list full of birds you've seen and photographed. I almost linked to you as "the birder". Anonymous, It's true, I've never found another hoe collection on the web, other than mine. Pam/Digging, I will add the Chicago Garden and I would also love an English garden grand tour. Lisa at Greenbow, I agree, tools are a good thing and I have quite a few garden tools. Have you seen my trowel collection? Layanee, Spring Fling Abroad, wouldn't that be something? I agree, Helen Dillon's garden would be nice to see, along with Sissinghurst. Helen, I think those would be two great lists to start with. OurfriendBen, Plants I've killed, where to start on that list?! But gardens I'd like to own, that sounds interesting. Meems, What a nice thing to do for your mom. I bet you are having a good time. MSS@Zanthan Gardens, Scratch and sniff blogs would be great. I am always impressed by your lists, you know your garden so well because of them. Gail, How could I forget the gardens of Elizabeth Lawrence? I definitely want to see those! Beckie, It is true what they say, "what gets written, gets done". Start your list! Anna, I recommend that if these lists overwhelm you, make them real short for now, and once you are all settled and more relaxed, you can add to them. Looking forward to 'seeing' you at the Hoe Down! Mr. McGregor's Daughter, I like those two suggestions, especially the one about the wildflowers in their natural habitat. Ki, Thanks, I like the silverbell, and hope I can keep the soil pH low enough for it. A rare plant list would be fun, too. Rose, that's a good idea, too. Thanks all for joining in the list discussion and for the great ideas. I'm off to start my lists, watch for them in a future post! mdg_blog AT comcast DOT net. Well...since you started on it at Spring Fling how about gardeners you've met/want to meet? Or nurseries you'd like to visit? Leslie, Those are two great ideas for a Gardener's Life List. Thanks for sharing them.